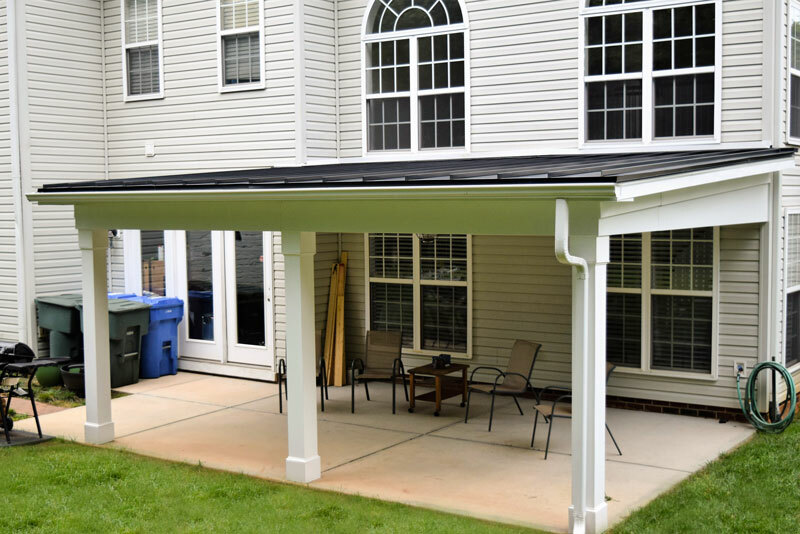 JAG’s Mooresville client was just looking for some shade. 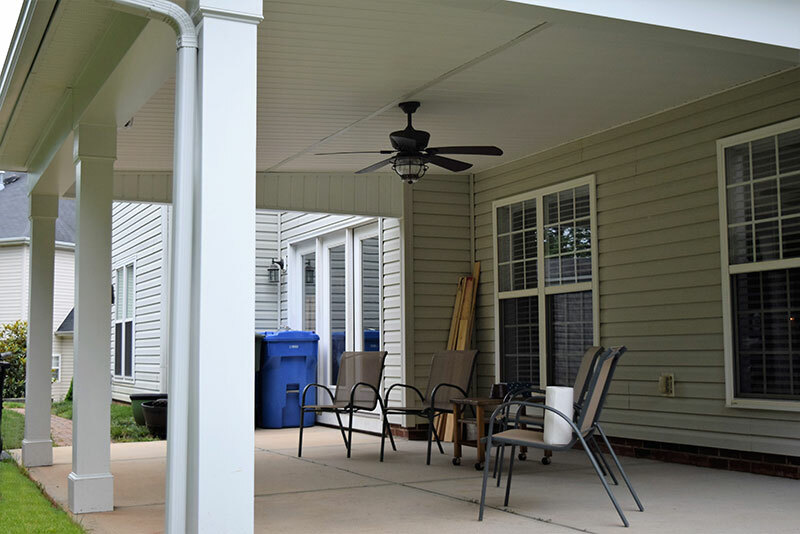 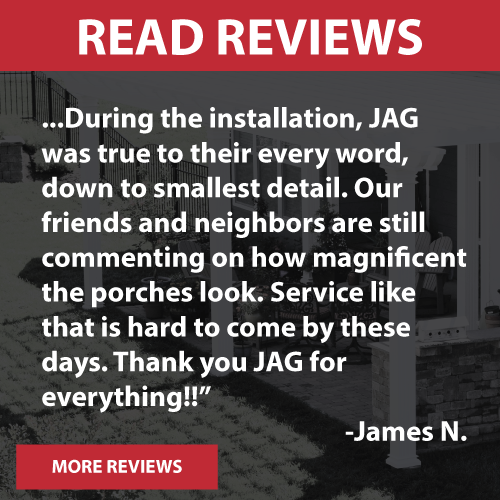 Due to the two-story windows, the home owner thought a covered porch was not an option and did not like the idea of a crank out awning because of the lack of space to add a roof between the first floor and two story windows…JAG came to the rescue. 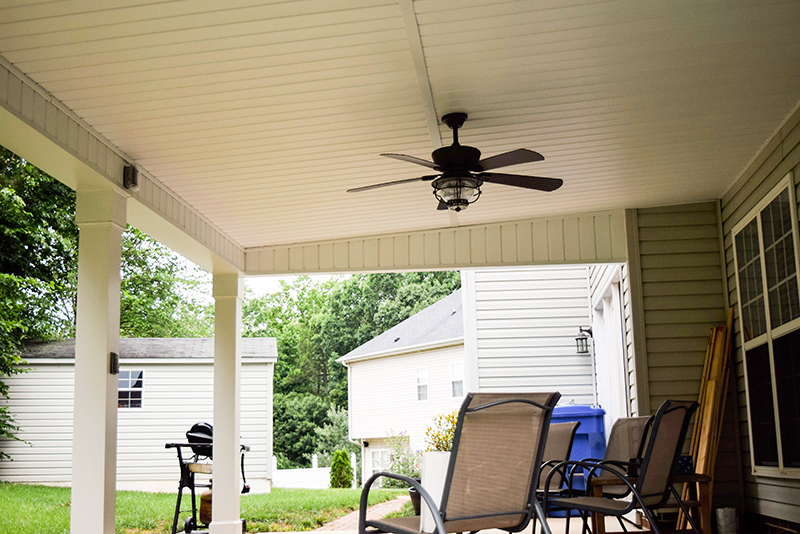 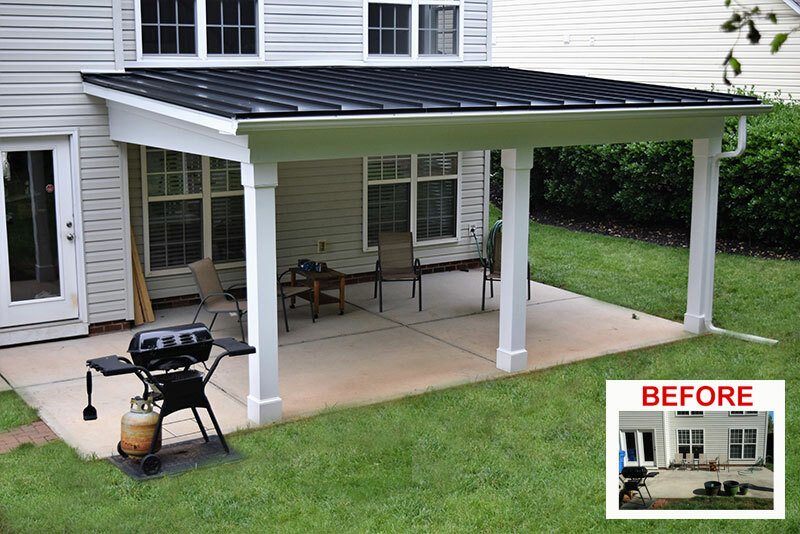 JAG built a simple shed roof covered porch with all low maintenance material, black metal roof with nice chunky posts finished off with a ceiling fan and added outlet for the clients string lighting being added around the perimeter of the ceiling.